We often hear parents saying that they wish that their kids would remain kids forever. Be careful what you wish for cause you just might have it. In Jose Dalman, Zamboanga del Norte 3 siblings with rare medical conditions has been discovered by KMJS. Only judging by the looks of them, you will not believe that 2 of them are actually on their teens. 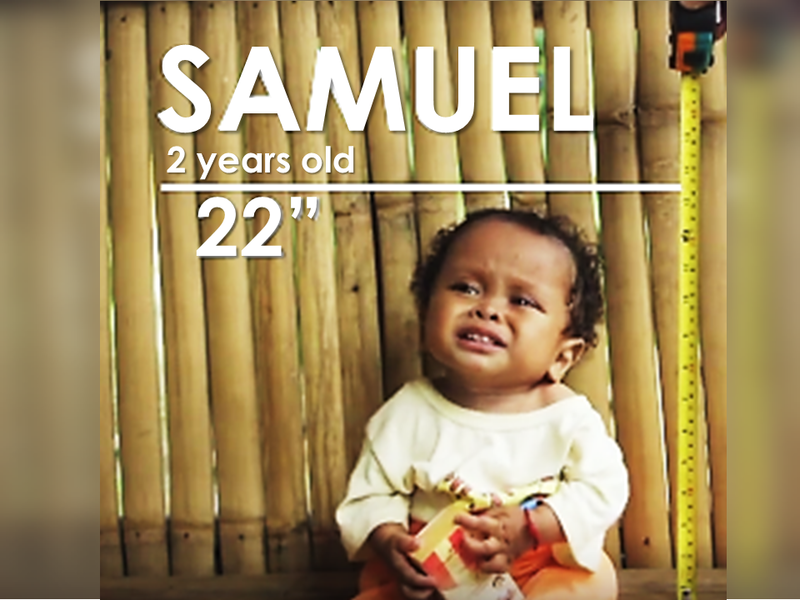 Samuel, 2 years old, the youngest, measures only 22 inches. He is irritable and a cry baby. He just sit all the time and at his age, he cannot crawl like normal babies his age could normally do. 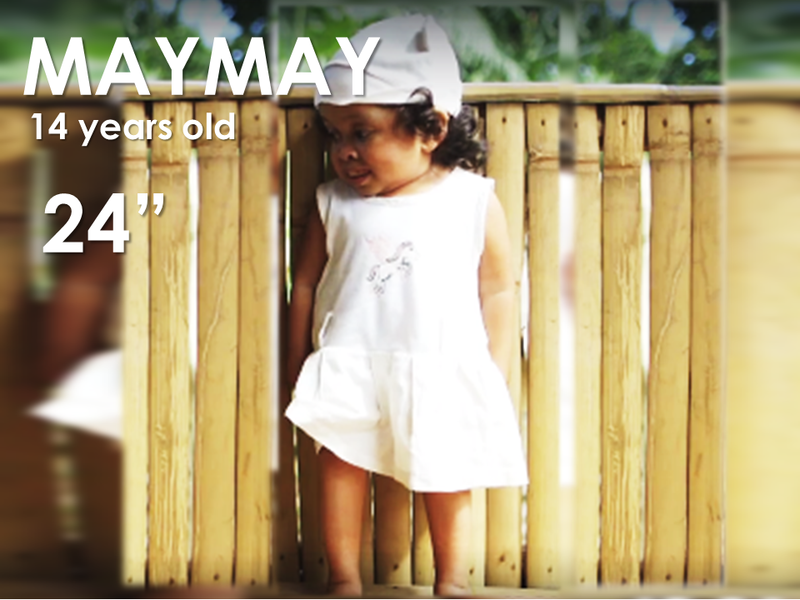 Maymay, 14, like a typical teenage girl, she is a shy type, timid girl but she is very generous in showing her smile to people. A teenager trapped in a toddlers body. Among the three, she is the only one who can stand up and walk by herself. Jeto, 18 years old, is the oldest son, unlike Maymay, Jeto cannot stand and walk on its own but with the aid of something where he can hold onto, he can stand up. 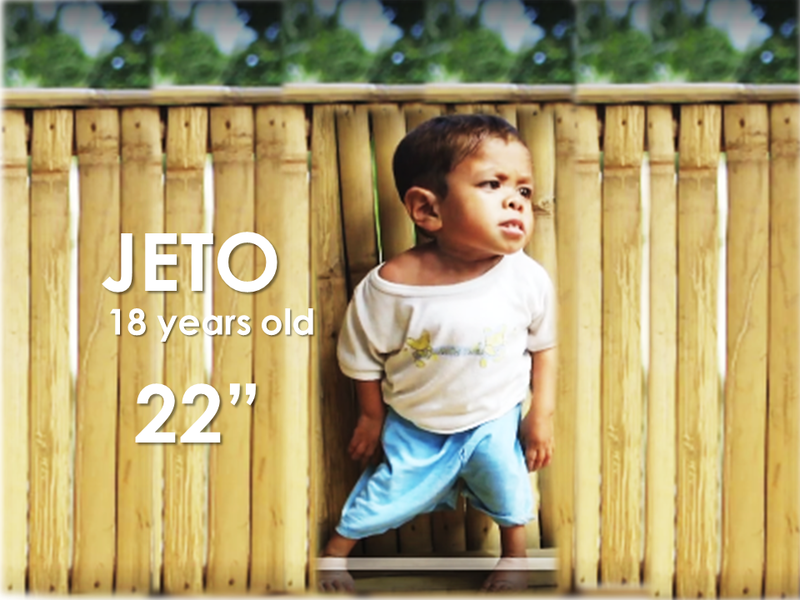 At his age, Jeto only measures 22 inches. Both their parents are normal and they have 3 normal siblings. 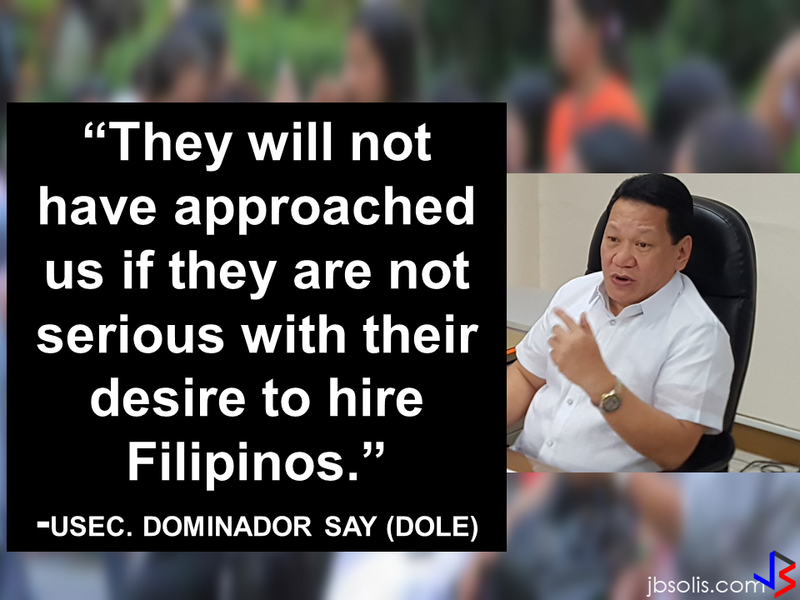 Charlie and Leonisa Atig has six children,three of them grew up normally. As the father of these children only make P200-300 a day, they hardly have the money to provide milk for their youngest. According to Dr. Oliver Allan Dampil, an endocrinologist, their condition is called "cretinism". Compared to dwarfism that has unproportionate growth on the body parts, people with cretinism, the growth of their body parts has noticeably proportionate growth. The usual cause of this condition, according to him, is the deficiency of thyroid hormones which is vital for growth and development. Aside from arrested development of their physique, people with cretinism also has slow development of their brains. In dwarfism, they can grow up to 4 feet in height, however, in cretinism, they just stop growing. According to Dr. Dampil, cretinism can be attributed to iodine deficiency during the early development. This condition based on what the doctor said could be attributed to malnutrition among the remote areas of the country . 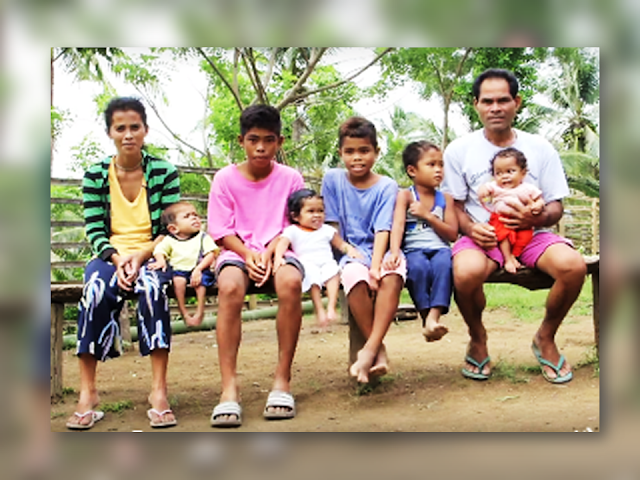 Charlie and Leonisa Atig has learned to accept the medical condition of their three kids. although it burdens them that they can't send them to school because of their condition, they wholeheartedly accept them for what they are even regarded them as a gift from God. 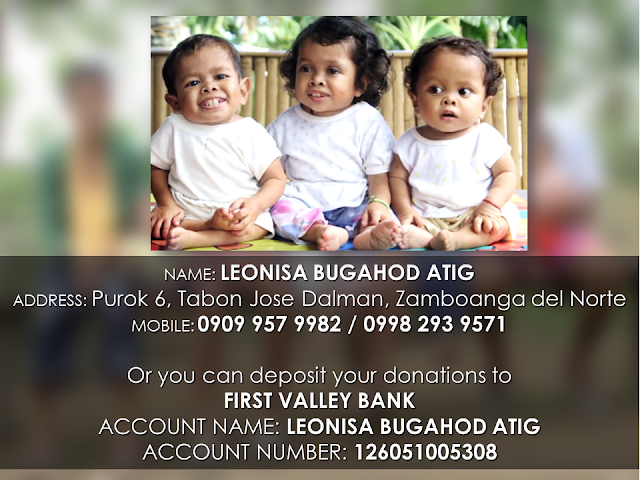 However to raise a big family with very low income, considering the condition of their three angels, any help you can extend to the family will be much appreciated.